Your pet works hard all day, so give them a cozy spot to rest their weary paws. 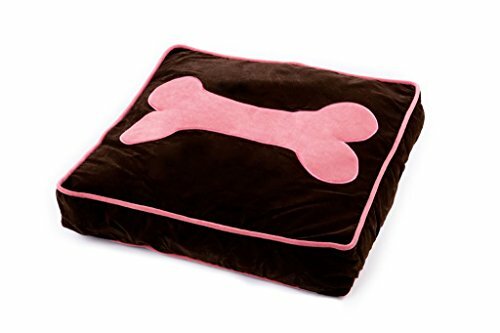 The Bone-Tired Pillow Dog Bed is a soft pillow small dog bed measuring 20 in. x 20 in. x 4 in. This pet bed is dark brown with blue or pink accents, including a cute bone design. 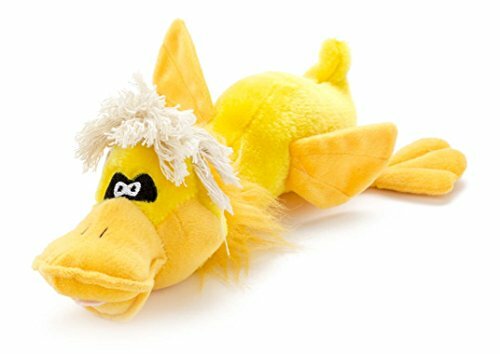 The Zany Duck stuffed dog toy is made of yellow plush fur, rope hair, and squeaker. This wacky design will delight your dog for hours. Best for light to medium chewers, this toy is approximately 14 in. long. 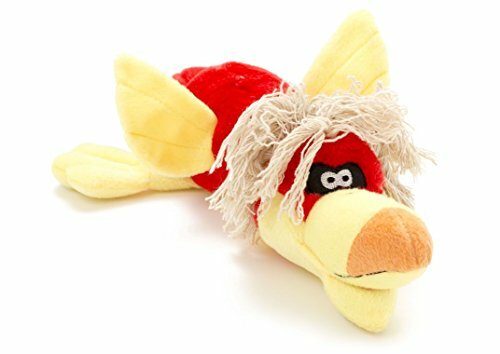 The Zany Bird stuffed dog toy is made of red plush fur, rope hair, and squeaker. This wacky design will delight your dog for hours. Best for light to medium chewers, this toy is approximately 14.5 in. long.